Call For Details. Great savings on front porches, screened porches, covered porches and more with Sunburst Construction! Coupon void if altered. Not valid with any other offer. With Valpak® coupon only. Coupon void if altered. Expires 05/05/2019. Call Today for a FREE Consultation & Get Your Dream Porch or Portico! Call For Details. Great savings on front porches, screened porches, covered porches, porticos and more with Sunburst Construction! Coupon void if altered. Not valid with any other offer. With Valpak® coupon only. Coupon void if altered. Expires 05/05/2019. Sunburst Construction - $500 OFF Any Portico Project! Call Today for Your FREE Estimate & Get the Patio of Your Dreams! Great savings on patios, masonry projects, walkways and more with Sunburst Construction! Coupon void if altered. Expires 05/05/2019. Min. 300 Sq. or Linear Ft. Call For Details. With coupon only. Not valid with any other offer. Coupon void if altered. Expires 05/05/2019. Sunburst Construction of Ashburn, Virginia, has been in business for over fifteen years, and in that time we have helped thousands of homeowners with their construction jobs. Use one of our porch coupons today and start your next indoor or outdoor renovation plans with big savings. 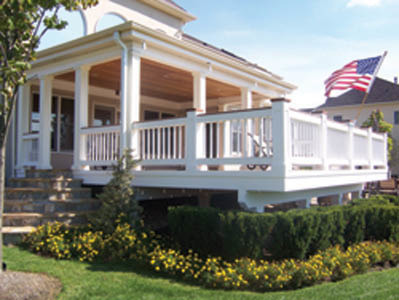 Our licensed contractors will help create your porch designs. Allow us to construct a screened porch with an updated ceiling, complete with ceiling fans, or build a brand new front porch based on your own ideas. Take advantage of our printable front and back porch coupons to have us design and build an outdoor living space your family will love. Dreaming of a New Porch? 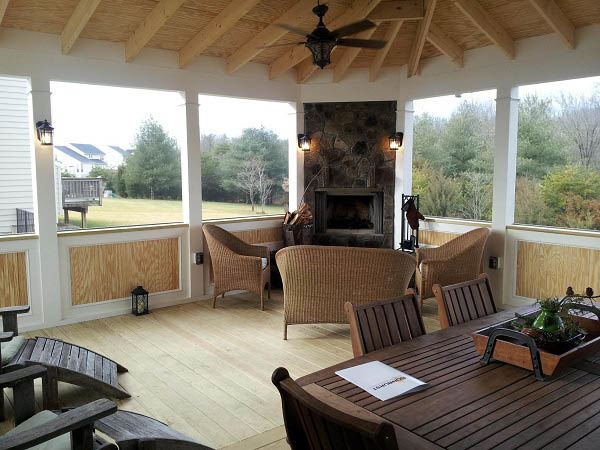 Sunburst Construction has been a leading porch builder in Northern Virginia for over 15 years. 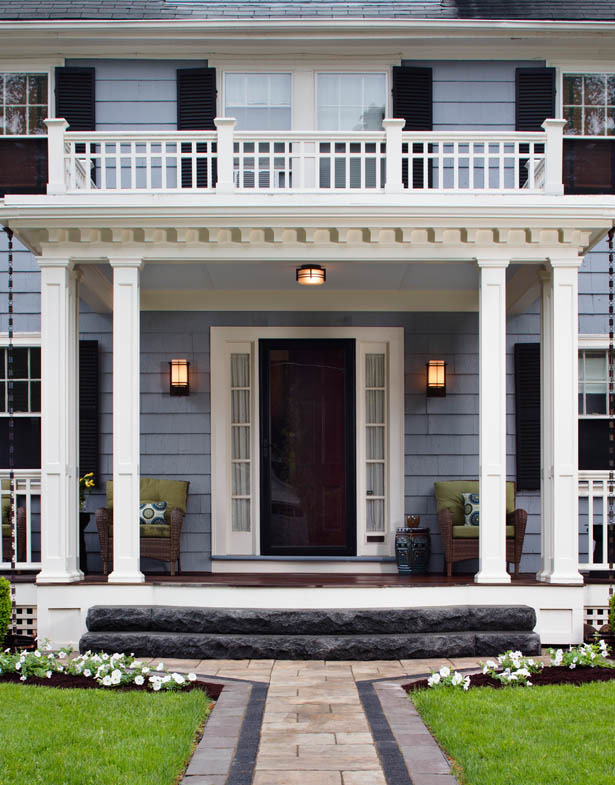 Our designers will create the porch you've always wanted, no matter the type. Front porch, screen porch or back porch - if you can dream it, we can build it. Many homeowners have relied on Sunburst Construction and our quality products for their outdoor living areas. Deck Designs - Trex Decking Products, Patio Ideas, Stone Pavers & Designs, Screened Porch Designs & Ceilings, Outdoor Gazebo & Arbor Additions. Sunburst Construction, located in Ashburn, VA is the best place to find quality contractors to meet your building needs and expectations. Allow our Class A Contractors to give input for a front or back porch, to fit your design and usage requests in Oakton, Sterling, Brambleton and many other northern VA cities.